address complaints regarding the new three-tiered copayment system. retirees paid the full cost. their monthly premium for the second straight year. health insurance premiums for surviving spouses of all retirees. decided that only spouses receiving a survivors pension were eligible. additional 2% service charge to the city. these women a service charge on top of the 100% was an insult." to receive his retirement benefits under Option C.
told Savastano that, "It's not the right time to push any further." dead," was Savastano's response in taking his case to the Council. unjustly denied a benefit that they were entitled to," Savastano said. really appreciate what he's done for us." discrimination in a city or town. surviviving spouses, regardless of their option." claim, they can contact our Insurance Coordinator Cheryl Stillman. everything possible to resolve a member's problem," comments Stillman. 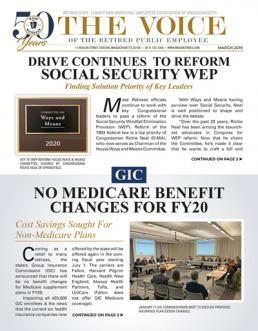 with the retiree's choice of plan, are set to take effect July 1, 2001.
reported extensively on the committee in the Voice. deal of time and effort are being put into developing the plan. to be known in the popular press as medical errors.